Recently the author of this article had the pleasure of taking a couple of young people into a local cave. He had been in this cave several times and had no concerns about their trek. Of course, the cave was very beautiful with the stalactites, stalagmites and other formations. When it was time to turn back and start heading out, something unexpected happened. As the group got closer and closer to the entrance, the sound of roaring and rushing water could be heard. Unbeknownst to them a torrential downpour on the surface had occurred and the water was seeking the path of least resistance which was straight into the cave. There was only one way out and that was the entrance they came in. As the group neared the entrance, they had to brave themselves through three hard-pouring waterfalls and waist deep rushing water. The sound of the falling and gushing water was deafening. The volume of water that was entering into the cave was absolutely astounding. But they made it! How great it was for them to be out and be alive. …Things can change very quickly. What was a peaceful, serene environment in the cave almost instantly turned violent. It’s that way with life as well. In a moment, without warning, our lives can be transformed from ones of peace to turmoil. There is no guarantee of what tomorrow holds upon the earth. See James 4:13-14. …It can become very treacherous. 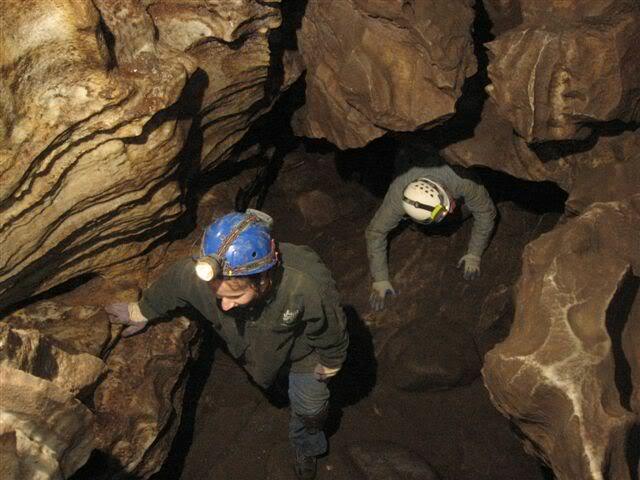 The normally relatively easy passageways in the cave were made very difficult to navigate due to the extra water which made everything slick. Life on earth is treacherous, as well. Satan provides opportunities to slip and fall all along life’s journey. We must step carefully. See Psalm 31:9-10. …We have to know the way out. When you are in a cave, it is very important that you know how to get out — it is literally a matter of life and death. Knowing the location of the exit was vital for the group, but they still had to crawl out! It is the same with our lives in this world. There is only one way out to safety — through the passageway Jesus provides. We must know it and follow it. See John 14:1-6. …It always helps to pray. An honest confession from the author: with time being a critical factor, he did not stop to pray. But he says, he did not stop praying until all were safe! Prayer is powerful and we need to always remember that it is a great aid when we are struggling through the issues of life upon this globe. See Philippians 4:6-7. This entry was posted in Front Page and tagged Dependence on God, Life journey, Relationship with God. Bookmark the permalink.